two days left.. I had an amazing time here in Chicago. I met so many amazing and inspiring people, saw lot’s of shows, went to Halloween Parties, played with my friends, found a great place to stay.. eliminated prejudices on american culture 🙂 got some new once, found some verified. Physically I’m ready to leave Chicago… I have boots and a coat for the cold weather up North.. but for sure I will miss the people I met here! Yesterday we all said goodbye to the Schallmauer at the Echoraum. 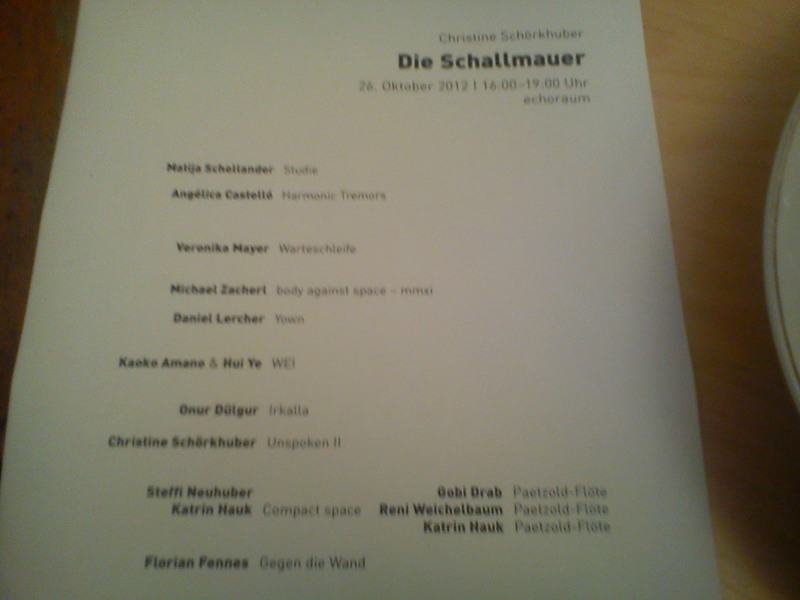 It was a nice afternoon with cake and coffee — for the last time people could listen/feel all the different pieces which were composed for Christine Schörkhubers Schallmauer. It was fun playing COMPACT SPACE again. The piece worked also very well with just three players; the frequencies of our paetzold recorders were so intense; during the soundcheck I took the opportunity to feel our piece a little bit at the soundwall and I have to say, it was a true sound massage. After yesterday’s performance I am really looking forward to our Paetzold Septet Plenum. yesterday i spent some time at the rüdigerhof with gabi and hubert…the rüdigerhof was renovated in the last few weeks; new colors, new fabrics, a new door separating smokers from non-smokers; it feels more open and bright now. 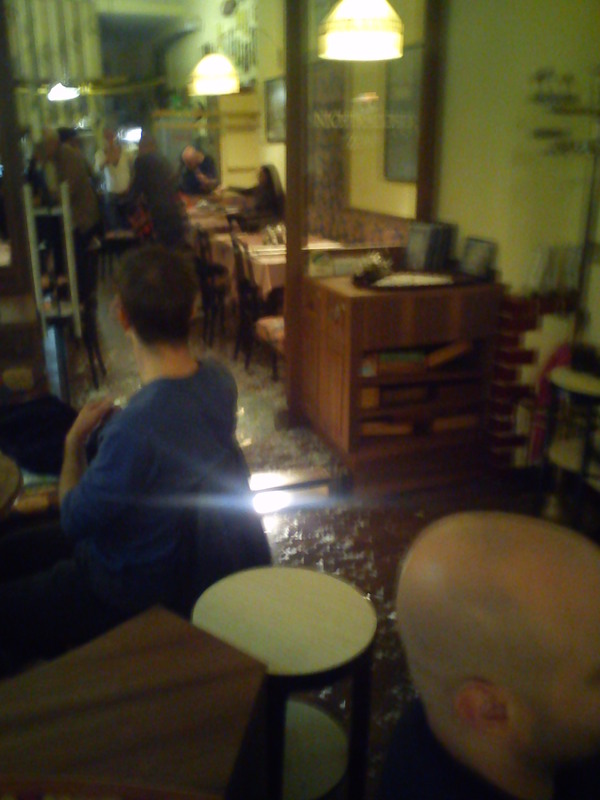 we were drinking, smoking, talking when suddenly one of the new glassdoors broke; the waiter was passing through it and then the glass exploded; the sound was really intense and short…bits of broken glass everywhere; luckily nobody was sitting next to it; afterwards there was silence; everyone was so astonished. (wow, what a situation…) i took some pictures..
time flies bye.. 12 days left in Chicago.. the last few days I was volunteering at the 48th Chicago International Film Festival great movies.. I saw Off-White Lies, a Israeli film and The Weekend, a German Film. 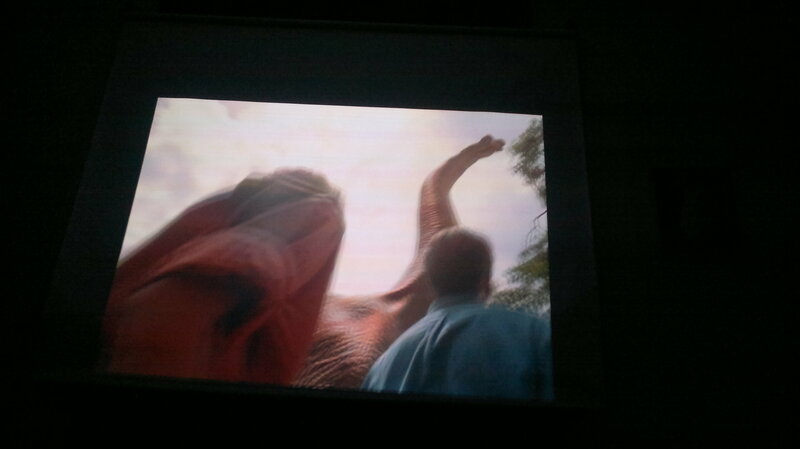 It was really nice watching a movie in German. Yesterday I finally had Chicago Deep Dish pizza.. ’cause everyone was telling me that I have to try it before I leave again. I don’t know where to start now.. hm… right now I’m listening to classical voice lessons at home.. one girl was just singing “Ave Maria” .. what a nice saturday afternoon. Last sunday Natalie Chami (TAL) and I played some ambient, experimental, noise music at Rodan. You would love it 😉 watch out for more.. maybe next June somewhere in Europe! I also did some recording with Kg Price … my first drum+recorder encounter… nice sounds! 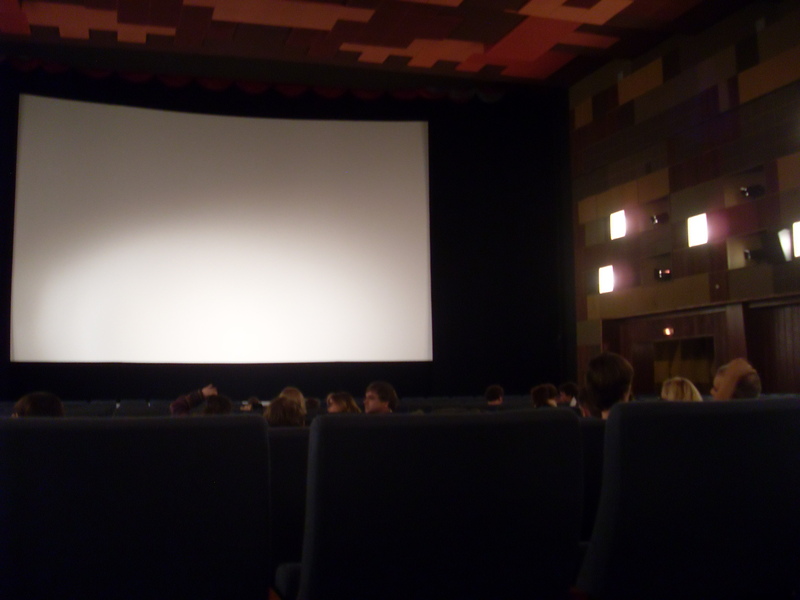 One Week ago we also went to HCL where Vice presented the Fourth Dimension film screening. “Three visionary filmmakers – Alexy Fedorchenko, Harmony Korine and Jan Kwiecinski– have created three unique stories that represent their interpretation of the higher plane of existence known as the Fourth Dimension. As viewers, we are given a glimpse of enlightenment through the eyes of three one-of-a-kind characters who are each on a journey that changes the way they see the world and themselves. Each Filmmaker provides a different perspective on what the Fourth Dimension is while keeping a common theme—by broadening your mind and changing your perspective on life, you can pave your own path to enlightenment.” I preferred FAWNS by Michal Kwiecinski I was caught by the story and the characters.. and liked the unpredictabilty of the story..
ha and I totally forgot about the Good Willsmith show at saki record store… where Angel Eyes from Australia played first followed by Good Willsmith. Both sets were very noisy. Good Willsmith use synths, voice, guitar, bass and electronics. Tonight there’s an Outer Ear performance at ESS with Joseph Clayton Mills, Olivia Block, Noe Cuellar, Steven Hess and Jason Stein.. I think that’s going to be great. whatever.. a lot is going on… I don’t know where to start 🙂 I forget about a lot of things that happen.. but it’s amazing! 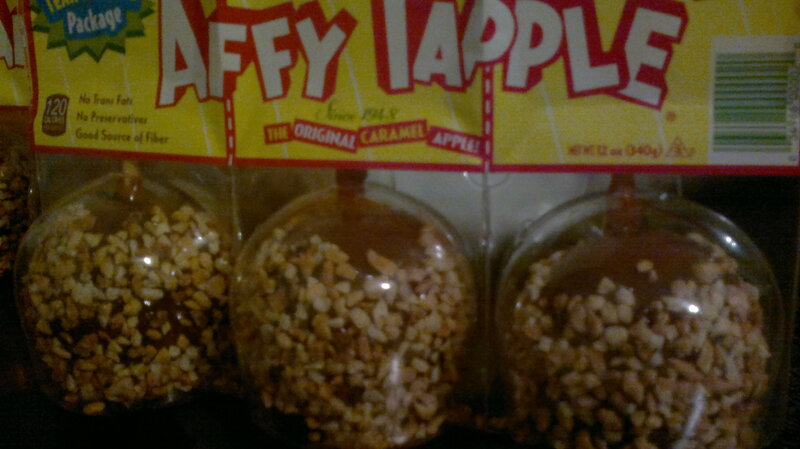 yes we had affy tapples .. haha..
A few days ago I lived in Lakeview.. it was a nice neighborhood.. I could walk to the lake in 15 minutes and it was beautiful. but I had to leave. the apartment was so tiny, there was noise everywhere.. I love noise.. as you know, but I love silence even more! silence is an important part of my live.. in the old apartment I felt surrounded by constant noise! 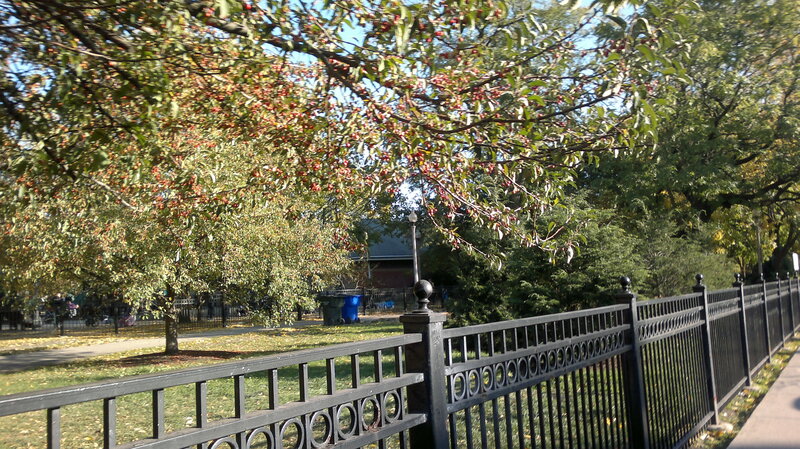 So I moved to Wicker Park last week. Where, how.. what.. do I want to tell you? hm..
two weeks ago I went to Myopic bookstore to see a show, Katherine Young (bassoon), Fred Lonberg-Holm (cello) were playing. On wednesday I went to the flat iron building to see another show at collaboration. There are lot’s of ateliers and a performance space, where the show took place. The line up was very variable but all more or less in the context of experimental music. I liked some bands more, some less. One band was called video bug.. voice, keys, samples and drum… could be played on fm4 ..I quite liked this band. An other more experimental and more noisy band, that was playing, were Forts+Passerby… followed by Dear Rabbit, a crazy guy.. performing solo with his accordion, singing and sometimes using his trumpet. he had a great stage presence. The last band was El Is A Sound of Joy, I liked the development of their music.. first the sound was a little bit blurry, but then it got very dynamic, precise and you could feel that they are playing together for some time now! When I was going to this show I met Andrea and Natalie, she is an experimental musician too, plays drone and ambient music. We decided to play together and this is what we did on saturday. So Natalie and I played together and I think it is great.. it felt good, fluent, we listen to each other, but are also totaly into the music… so I moved in last week. 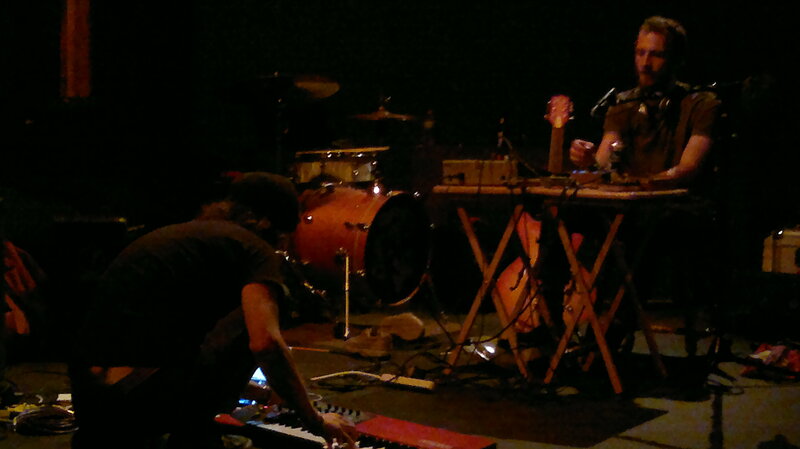 On Monday Oct 1st I played with Brian Labycz (modular synthesizer) and George Larson (guitars) at Myopic. I enjoyed playing improvised music again. however.. I’m in wicker park now.. live at a great flat with two great roommates, squid the cat and a garden.. play music.. went to school with natalie to talk to her students.. met her bandmates..went to the empty bottle to see a bad show and to The Dustbowl, a warehouse, squadded place, that reminded me of the warehouse in Oakland and Moe in Vienna.. weird but great place! I have to say I really like it here! 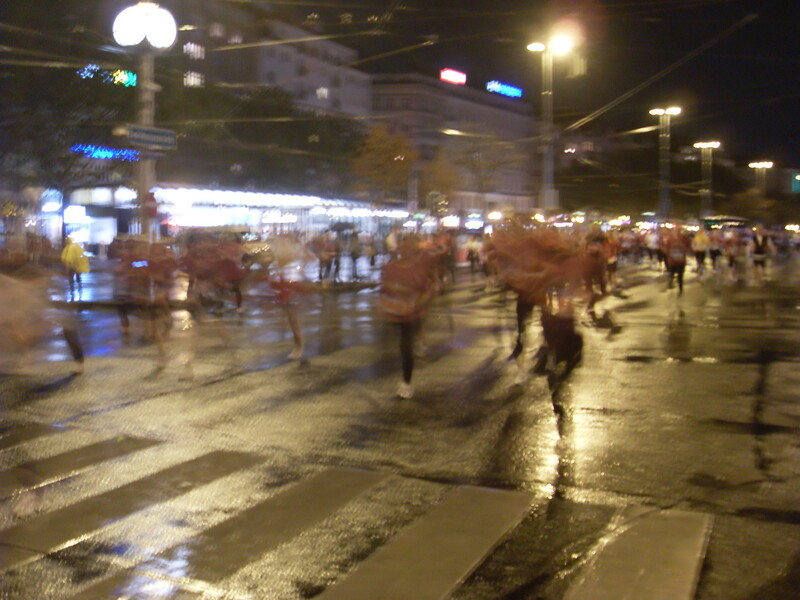 On Saturday I saw the strangest thing ever in Vienna; I was walking down Taborstraße to go to the Gartenbaukino to watch Hitchcock’s Vertigo at 9pm; when I passed Schwedenplatz masses of people were running along the Ringstraße, and that was so strange. 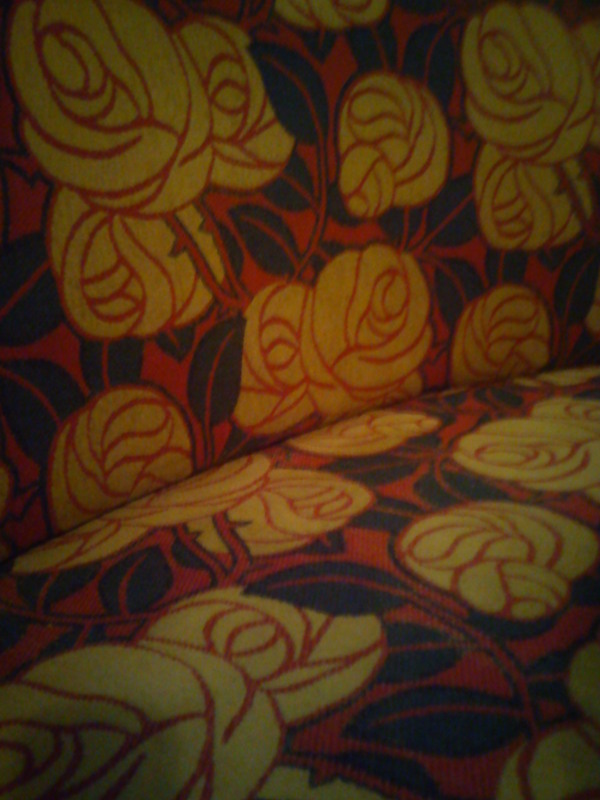 I had to take some pictures because it seemed so unreal; my camera couldn’t take it at all. And then I had to cross the Ring to get to the cinema and that was not easy. 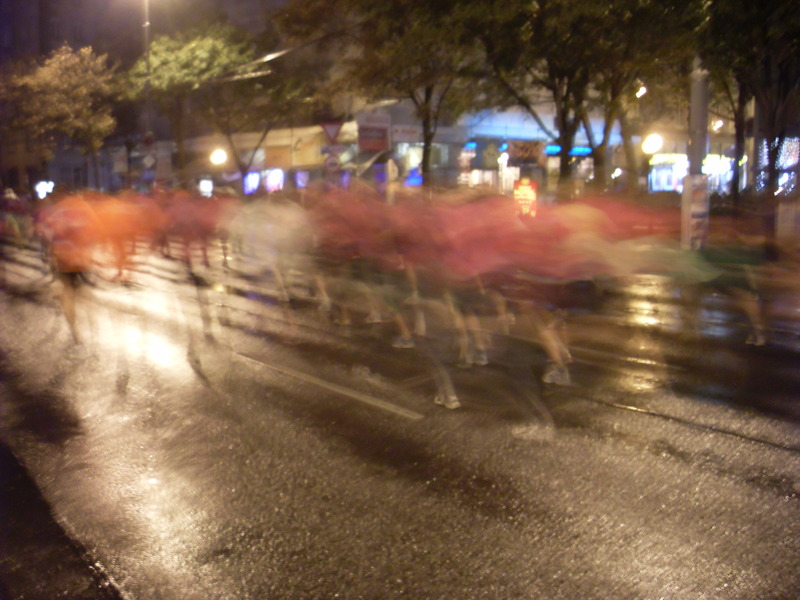 I had to walk through all the runners and there were so many. hu! really adventurous. 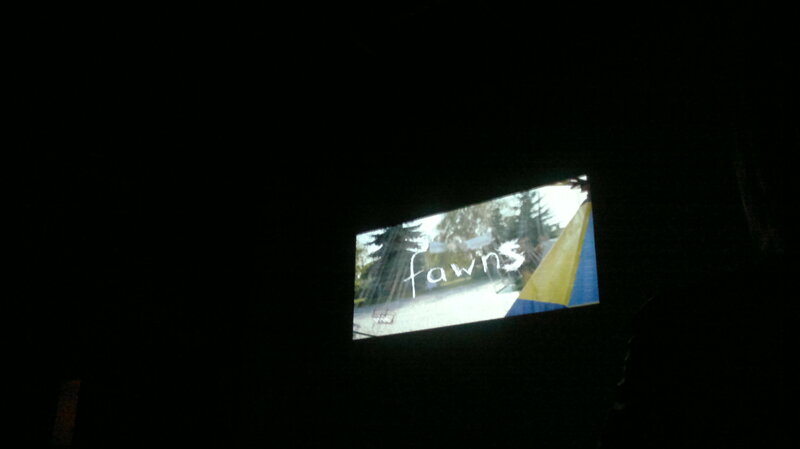 But I made it to the cinema. And Vertigo is such a great movie! It has the best ending ever..